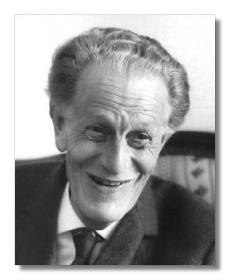 Swiss composer Frank Martin, born in Geneva in 1890 to a long line of French Huguenots (his father was a Calvinist minister), won international recognition slowly. Following his father's wishes he studied mathematics and science, while his primary musical education was at the hands of a local composer. Finding music more fascinating than science, he did not earn a degree but instead launched into attempts at composition, writing music which is described as primarily German Romantic with overtones of Franck. Some of his songs were performed as early as 1911, and in 1915 he encountered Ernest Ansermet (the noted Swiss conductor who espoused the works of contemporary composers such as Martin's countryman Arthur Honegger), who introduced him to the music of Claude Debussy and Maurice Ravel. Ansermet conducted the première of Martin's first major work, Les Dithyrambes for chorus and orchestra, in 1918. During the next several years Martin lived in Italy and France, working at incorporating different styles, including folk and ancient, into his music. He began teaching in 1926, and in 1933 became a founder and the director of Technicum Moderne de Musique, a private music school. At this time he discovered Schoenberg, and commenced his own struggle with twelve-tone music. In 1938 Martin received a commission to write a work for a twelve-voice madrigal choir. The result, Le Vin herbé (The Doctored Wine), was based on Joseph Bédier's retelling of the Tristan story, for which Martin evolved a twelve-tone system which has been described as 'tonal or harmonic dodecaphony.' This work, first performed in Zurich in 1942, won world-wide attention for the then fifty-two year-old composer and was followed by other successes, including his setting of Hoffmannsthal's version of Jedermann (Everyman). In 1946 Martin moved to the Netherlands, finally settling in Naarden, a few miles east of Amsterdam. He continued to compose for the remainder of his eighty-four years, and died in Naarden in 1974.